Residents of the Milky Way Galaxy, today we launch to space a completely new version of our crawler → Netpeak Spider 3.0 with the code name ‘New SEO Hope’. It is the greatest update in the life of our program with more than 300 improvements: from super features to small usability upgrades. May the Force be with you to get the best out of this post! At the moment this update is available only for Windows. The new version of the program specializes on the analysis of large websites (we're talking about millions of pages). Now you can crawl such websites even without having a ‘sky-high’ computer configuration – thanks to the improved crawling management and optimal use of RAM. For example, the next day → you just need to open the project and click on the ‘Start’ button. On another computer → to do so, just transfer the entire folder with the project to the necessary computer (for example, if your computer reaches RAM limit and you want to continue crawling on more powerful one), open the project there and click again on the treasured ‘Start’ button. 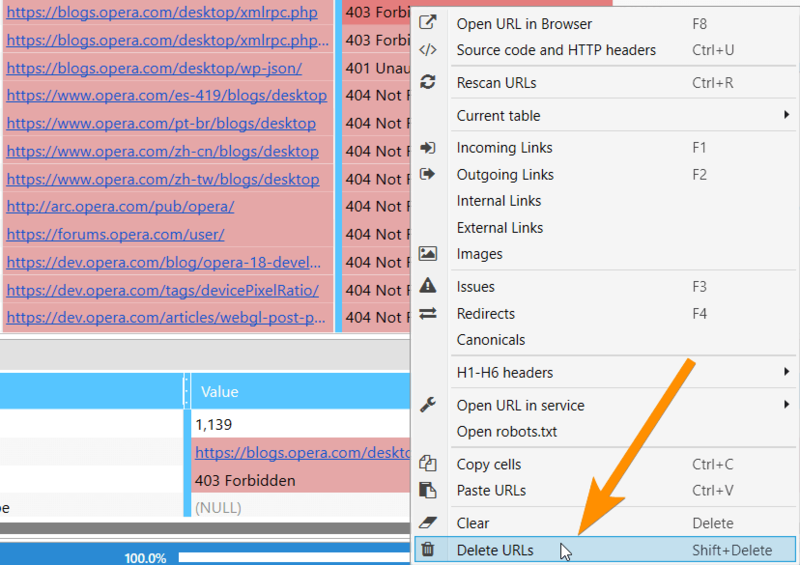 Imagine that Netpeak Spider has detected Title duplicates on your website. You’ve exported the report and sent it to the developer with an explanation how to fix this issue. Previously, to check if issue was fixed, you had to scan the entire website or a list of URLs again. 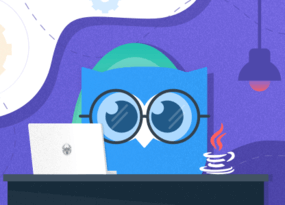 Now you can select an issue in sidebar and start rescanning pages only with this issue → and you will get a completely updated report of the entire website. Of course, you can rescan both single URL and URL list on ‘All Results’ or ‘URL Explorer’ tabs. If you’ve crawled some extra data and it made your report too heavy, now you can easily delete this information, and all your basic reports will be updated. Keep in mind that URL will be deleted globally → so it is recommended to save the project before deleting and only after that change results. Also, now you can just clear results without deleting URLs. It is very useful when you need to rescan same pages with new parameters. This change gives you an ultimate power in crawling management. If you’ve started scanning and then realized that you forgot to include some significant parameters or parsing of necessary HTML fragment, now you can stop crawling, enable necessary parameters and then continue scanning. In this case, scanned pages will not be recrawled and included parameters will be applied only for new pages. If you’ve started crawling and understood that there is too much data (that is blowing your RAM), you can stop scanning, turn off unnecessary parameters, and resume it. And, voila, you freed up RAM and now can parse more data. By the way, the good news is that received data is not deleted, but just hidden. It means that if you turn these parameters back on, the data will appear in the table and be in all reports. I started crawling 1,000,000 pages but RAM usage was too high. After analyzing the report, I realized that these pages don’t have ‘Duplicate Pages’ and ‘Long Server Response Time’ issues. So I paused scanning and turned off the ‘Page Hash’ and ‘Response Time’ parameters. Then I just continued crawling by pressing ‘Start’ button. Columns with these issues were hidden and RAM consumption decreased → now I can crawl even more pages. The database → there is a massive amount of data, so we’ve made substantial optimization. It results in a significant increase in the speed. Results table → to save computer resources, table will not be updated every time it receives new results. Updating occurs automatically after crawling is stopped or paused. Please note that tab title includes an asterisk (*) during the scanning. It indicates that program is receiving data but not displaying it in the table yet (if you need data right now, just press ‘Reload’ button above the results table). Comprehensive data analysis → incoming links, internal PageRank, and other complex parameters will be calculated once the scanning is stopped or complete. It makes the process as accurate as possible and allows you to save a lot of time on real-time calculations. We conducted tests to compare crawling speed of Netpeak Spider 3.0 and the previous version, Netpeak Spider 2.1, with the same conditions and got great results. The new version shows up to 30 times increase in speed. By the way, to monitor crawling speed, we’ve added corresponding metric to the status panel – now you can check the average scanning speed. Information summary about crawling settings and process, diagrams with information about site structure, etc., SEO-insights, default filters – you can find all this stuff on our new ‘Dashboard’ tab. If necessary, you can download full screenshot of this panel using ‘Export…’ button: for example, to send it to us if you have some questions about your website’s scanning process. All diagrams are interactive: you can click on any part of the chart or any value near it and go to results filtered for that value. Also, you can download full screenshot of this panel using the ’Export…’ button. This data and the issue report allow you to quickly understand current status of the analyzed website. Try to select a category and press ‘Advanced copy’ button. Results will be copied to clipboard. Now you can paste them into external table (for example, Google Sheets or Microsoft Excel). I'll show how it works in the video below. This is a unique feature on the market of desktop products and it opens up infinite possibilities for analytics. Segments — this function allows you to change data view using a certain filter. 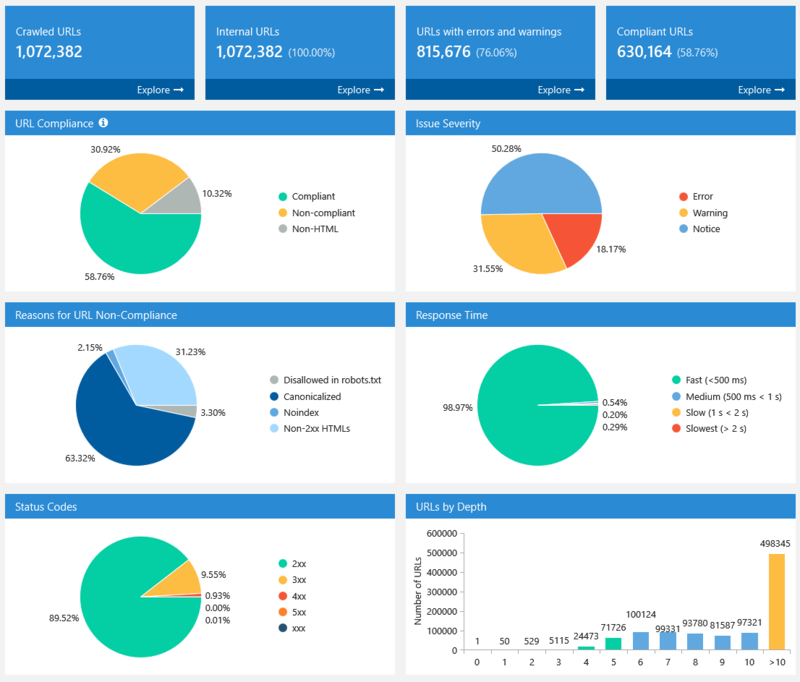 Segments affect all reports in the program, including ‘Issues’, ‘Overview’, ‘Site Structure’, ‘Dashboard’, etc. Imagine another situation: you crawled the website and found 40 errors on it. To fix them, you need to export this information, process it and send to the developer. All unique URLs and anchors → in the same way, export separately all external and internal links. 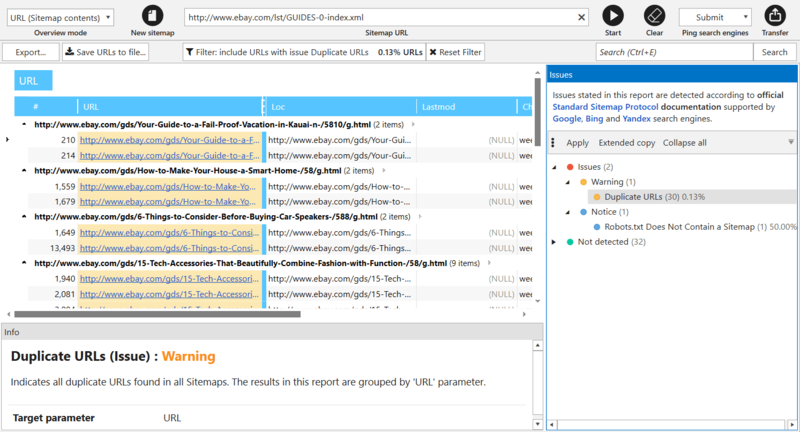 Data in the first report is grouped by URL, in the second one – by URL and anchor. The new version allows to crawl large websites without any problems, so we’ve also prepared an automatic splitting of .xlsx files, if there are more than 1 million results in the report. Compliant – HTML files with 2xx status code, not disallowed in indexation instructions (robots.txt, Canonical, Meta Robots, etc.). They are the most important pages on your website, because they can potentially lead organic traffic. Non-compliant – HTML files with non-2xx status code or disallowed by indexation instructions. These pages usually do not lead traffic from search engines and also waste crawling budget. Non-HTML – other documents with lower chances for high ranking in SERP. 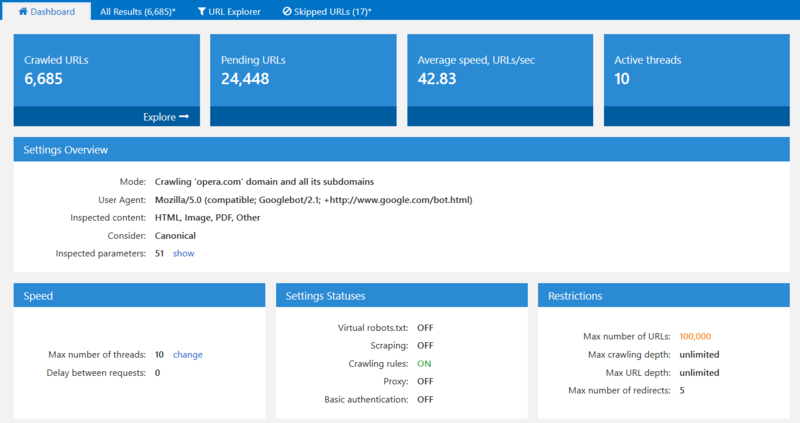 Compliance becomes a unified concept for tools and analytics inside the program, most issues can be detected only for compliant URLs (for example, previously we also considered disallowed URLs for duplicates report, but starting from now we search for duplicates only among compliant URLs). Previously, you could filter only pages with certain issue. 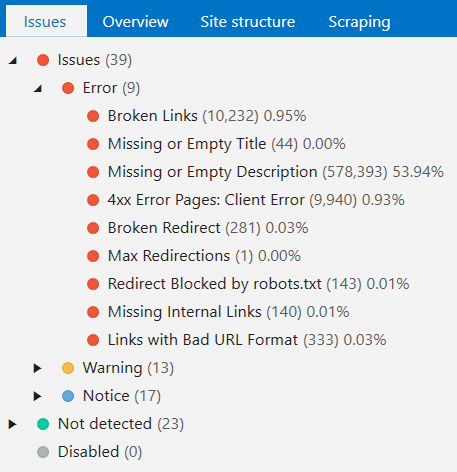 Starting from now, issues are displayed in the tree view, so you can filter URLs with exact issue severity or all pages that have at least one issue. 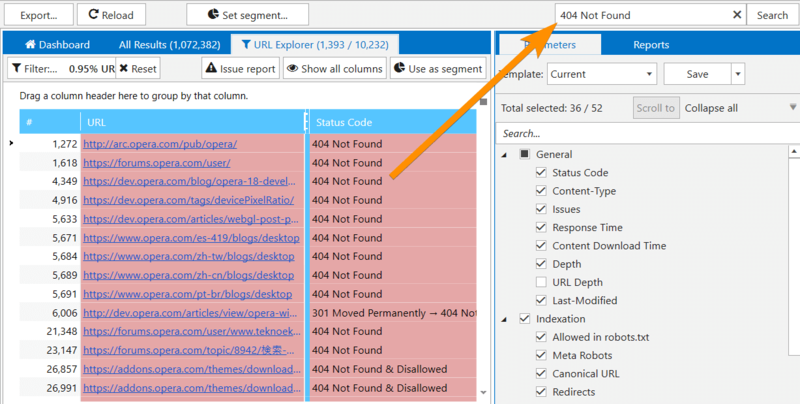 Now, clicking on the exact issue, you will see columns related only to this problem. 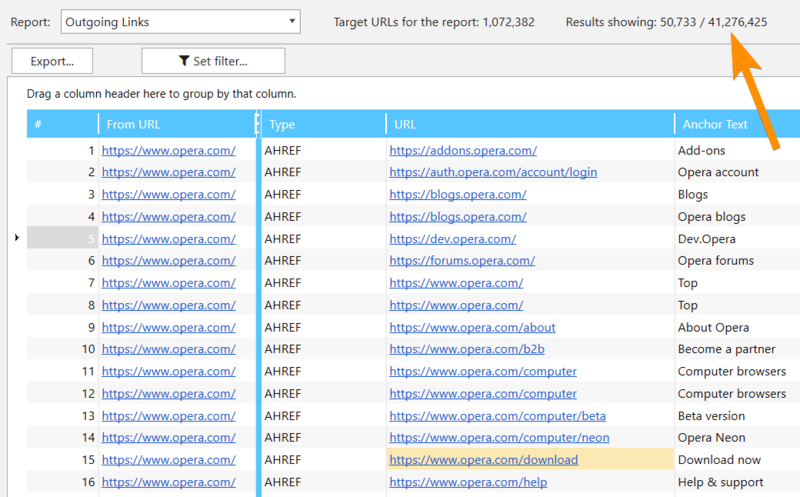 You can press ‘Show all columns’ to receive complete report for filtered URLs. For better understanding of each issue, we added descriptions which will be displayed on ‘Info’ panel at the bottom of the screen after selecting an issue. Soon we will add useful tips on how to solve them and how they affect your website. 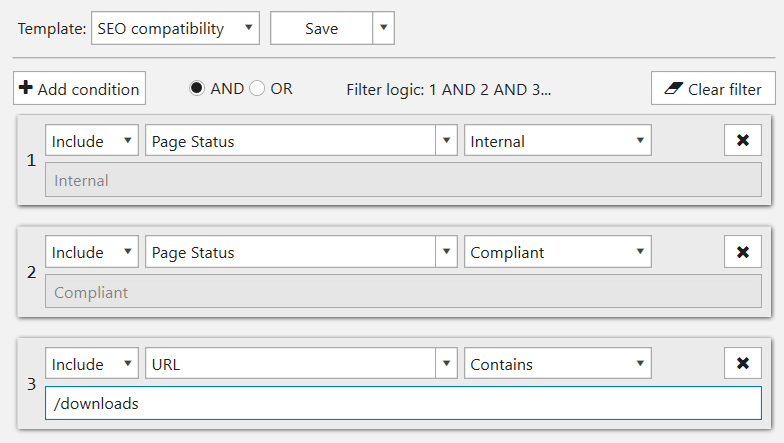 On ‘Restrictions’ tab of crawling settings you can customize almost all issue parameters to fit your conditions. For example, if you think that max image size of 100kB is too small, you can increase this number, and new values will be considered next time you start crawling. Broken Links → Indicates unavailable pages, as well as the ones returning 4xx and higher HTTP status codes. Percent-Encoded URLs → Indicates pages that contain percent-encoded (non-ASCII) characters in URL. Broken Images → Indicates images returning 4xx and higher HTTP status codes, and unavailable images. Broken Redirect → Indicates all pages that redirect to unavailable URLs or URLs with 4xx or higher status code. Connection Error и Other Failed URLs → Moved to the ‘Broken Links’ category. Missing or Empty Canonical → We will not notify you about this optional tag anymore. In 3.0 version, we made quality improvements for all our tools. Let’s take a closer look at each of them. N – total number of pages (nodes) on the website that were used in calculation. d – damping factor (most common value is 0.85). L – number of outbound links. if PR > 1,0 → page gets link equity. if PR = 1,0 → page shares and gets the same amount of link equity. if PR < 1,0 → page gives link equity away. Internal PageRank calculation is processed only for compliant URLs. Thus, images and other content types different from HTML will not be accounted for. 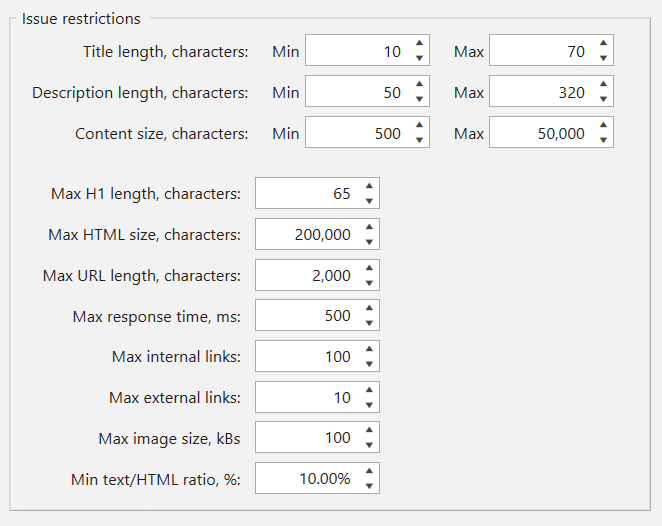 We added ‘Link Weight’ parameter to show (you won’t believe it) how much link equity is distributed across the website. Let me remind that in ‘Internal PageRank Calculation’ tool you can delete even whole nodes. Thus, you can imitate situation to see what will happen to each page’s PR if you have no links to deleted node. It helps you optimize internal link weight distribution if you use this structure on your website after simulation in our tool. 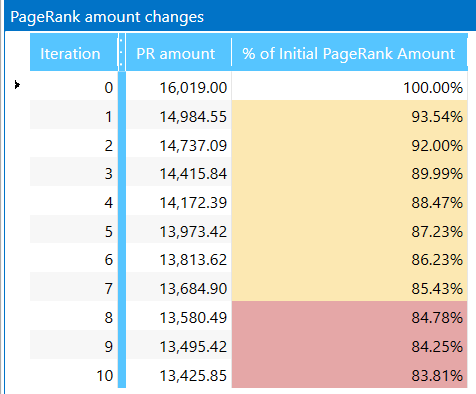 We created new ‘PageRank changes’ table. During each iteration program calculates the ratio of internal PageRank on current iteration to PR on zero iteration. If the amount is decreasing, it means that natural link equity distribution is breached and you have ‘dead ends’ (it’s the right time to fix them!) on your website. 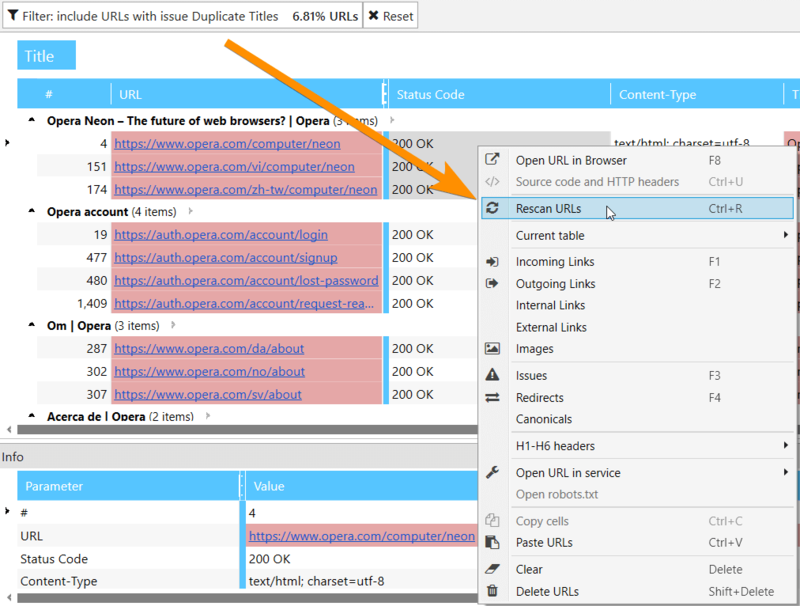 Parsing links from Sitemap and importing them to the main table for further analysis. XML Sitemap validation → we completely updated all issues (now there are 34 of them) according to main Google recommendations. Ping XML Sitemap to search engines to draw their attention to changes in it. Note that crawling rules also work for link parsing from XML Sitemaps. For comfortable use, we save your previous requests here: start entering URL, and tool will show you previously crawled XML Sitemaps. As well as other tools, we improved interface of this one and added ‘Extracted text’ tab showing content of the page excluding HTML tags. 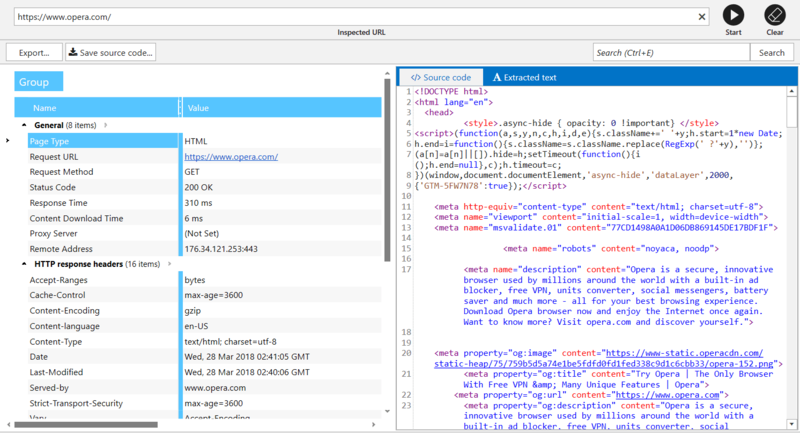 This feature doesn’t replace Google cached ‘text-only’ view (as more reliable source), but can show you how exactly Netpeak Spider analyzes text on webpage to count characters and words. Also, we save all your queries in this tool, so you can analyze necessary page again without any problems. 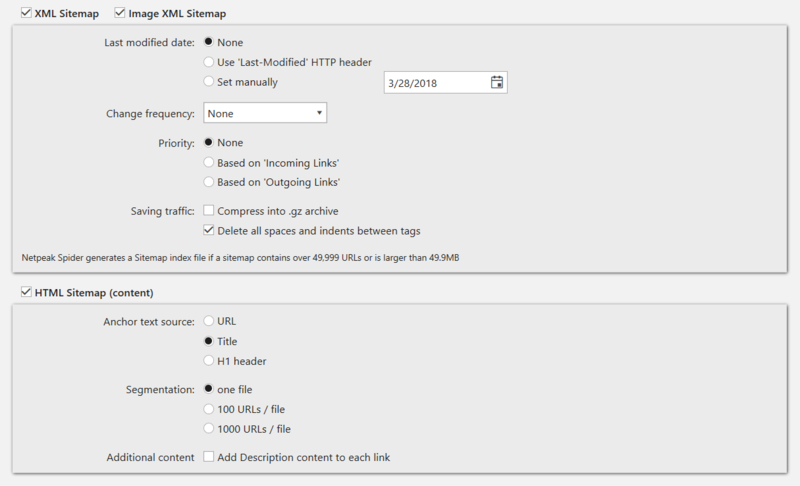 In addition to the interface changes of this tool, it now creates Sitemaps only for compliant URLs. You no longer have to worry about disallowed pages being added to Sitemap by mistake. As we validate XML Sitemaps according to lots of Google recommendations, Sitemap generator uses the same instructions. Since Netpeak Spider was created, our users were asking us for this small feature. We are glad to announce that we finished developing custom templates. Settings → These templates save information about all crawling settings tabs (except for ‘Export’, ‘Authentication’, and ‘Proxy’) and allow you to switch between them in 2 clicks. Note that we have default templates you can use for various tasks. For example, if you need to make a simple crawl or use ‘search engine bot eyes’ to take a deep look at your website. Filters and Segments → Create your own templates if you often use the same conditions for data segmentation and filtering. Parameters → You can find these templates on ‘Parameters’ tab of sidebar. Note that we also have defaults for them: choose ‘Minimum’ if you need to crawl your website and get its structure as fast as possible without analyzing irrelevant issues. If you need to test new robots.txt file and check how search engine robots will understand it, you should try ‘Virtual robots.txt’ setting. Netpeak Spider will use this virtual file instead of the file in root directory of your website. 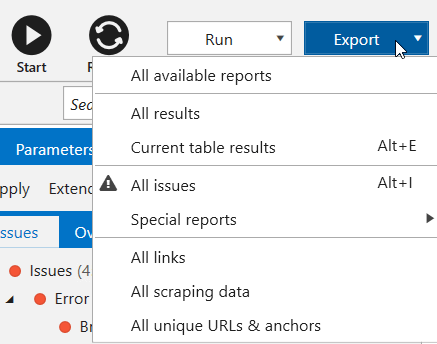 Added export settings → since there’s about one million more reports in the program now, we’ve implemented export settings to make it easier for you to change format and locale of generated files, manage file export, etc. Upgraded ‘User Agent’ tab → implemented comfortable User Agent settings with search, and also added more User Agents that our clients were asking for. 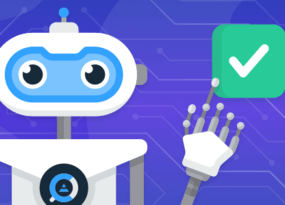 Proxy settings turned into ‘Proxy List’ → we’ve added a new proxy list validation tool, just like in Netpeak Checker. If you need to use one proxy (for instance, to access the website closed by IP), – simply add one proxy to the list. If you need to imitate several users’ interaction with the website or list of URLs, add numerous proxies and they will be immediately verified. Implemented default settings templates for the most popular occasions: regular crawling (getting maximum number of URLs), Googlebot-style crawling (considering indexation instructions) or crawling certain section. By crawling the website → simply add a URL into the ‘Initial URL’ field and press ‘Start’ button: pages will be added according to the crawling progress. Manually → this way a separate window with text input will be opened for you to add URLs list with each URL on a new line. From file → we significantly modified this function and added URL import from files with such extensions: .xlsx (Microsoft Excel), .csv (comma-separated values), .xml (Extensible Markup Language), .nspj (Netpeak Spider project) and .ncpj (Netpeak Checker project). From XML Sitemap → XML Sitemap validator will be opened, so that you can import URLs for crawling in the main table. From clipboard → simply use Ctrl+V combination with program’s main table opened, URL list from clipboard will be added to the table and notification with brief summary information will appear (what is successfully added, what is already in the table, what is not added because of bad URL format). Drag and Drop → you can simply transfer project or any other file with extensions mentioned above from file straight to the main table: Netpeak Spider will analyze files and upload necessary data. Note that now all URLs you import to the program will be organized in initial order. To simplify data search and comparing crawling results from different periods. If URL is entered in ‘Initial URL’ field and the table is empty → Netpeak Spider will crawl entire website starting from this URL. If URL is entered in ‘Initial URL’ field and there are URLs in the table → the program will crawl the website from ‘Initial URL’ field and will additionally scan URLs entered to the table using their outgoing links for crawling (interesting hack if you’d like to start crawling the website from different points). If ‘Initial URL’ field is empty and there are URLs in the table → only URLs added to the table will be crawled (just like the old ‘List of URLs’ crawling mode). Of course, you will get the data only for URls with no results. If URL is entered in ‘Initial URL’ field → the program will delete all crawling results and start crawling the website again, whether there were URLs added manually in the table or not. If ‘Initial URL’ field is empty and there are URLs in the table → all added URLs will be rescanned again. As you may have noticed, program behaves differently according to whether there is an URL in ‘Initial URL’. URL you’ve entered to ‘Initial URL’ field will be always added to the table. This way, you will know if this URL redirects to another website or simply unavailable at the moment. ‘Skipped URLs’ tab will appear only if some pages were ignored while crawling. 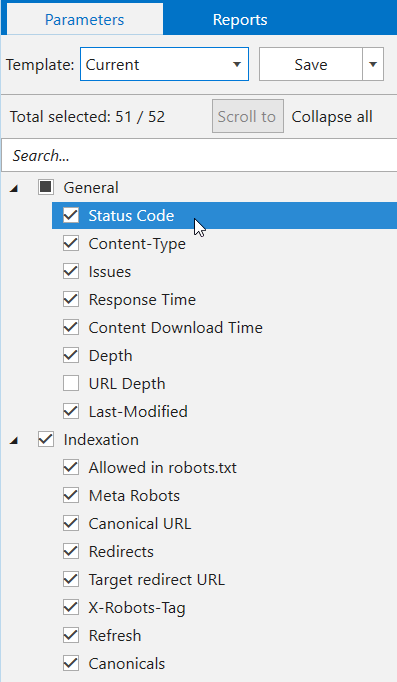 Here you will see URLs and the reason why they were skipped: for example, you’ve enabled considering indexation instructions from robots.txt file, applied crawling rules or disabled checking some of content types. From now on complicated calculations are performed after crawling is complete or stopped. If corresponding parameters are enabled by default, you will see a window where you can cancel data analysis. 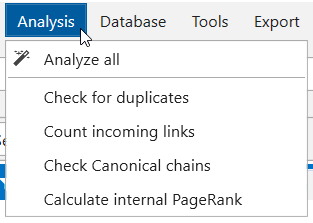 With ‘Analysis’ module you can analyze results at any time: for example, after deleting some results for recalculating PageRank or the number of incoming links. Pay no attention — it’s just 40 million links in the report. Note that when applying filter, this module will be used not only for current pagination page, but also for all data, that’s why it can take some time. Parameters setting has been moved from crawling settings to ‘Parameters’ tab in sidebar. Now, just like in Netpeak Checker, you can search by all parameters and view a detailed tip about them on ‘Info’ panel. If you have already got results in the main table, you can click on a parameter (or use ‘Scroll to’ button on this panel) to quickly reach the corresponding parameter in the current table. Minimal (for quick crawling of the website to gather all URLs). Recommended (optimal for the majority of cases – identifies max types of issues). For PageRank (minimum parameters necessary for calculation). Added new ‘URL Depth’ parameter showing number of segments in inspected page's URL. Unlike 'Depth' parameter, URL depth is a static one not depending on initial URL. For instance, URL depth for https://example.com/category/ page is 1, for https://example.com/category/product/ page is 2 and so forth. ‘Page Body Hash’ is now called ‘Text Hash’ and allows you to search for duplicates not only by HTML in <body> section, but also by text content. Canonicals are now treated like redirect chains. I’d like to remind that there are default filters on ‘Dashboard’, as well as on ‘Issues’, ‘Overview’, ‘Site Structure’, and ‘Scraping’ tabs, leading to ‘URL Explorer’ tab with corresponding filter applied. This is where you’ll find ‘Use as segment’ function allowing you to limit current data view and see reports in another light. Monitoring memory limit → checking the amount of free RAM and disk space: there should be at least 128 MB of both available for program to run. If limit is reached, the crawling stops and the data remains intact. Choosing initial URL → when you start typing, a tooltip appears (similar to the Chrome browser) containing the list of URLs from which the scanning successfully started. In addition to usual project downloading, ‘Project’ menu was added →'Recent projects', where you can open the last project you worked with (Ctrl+Shift+T combination). ‘Open URL in service’ item is added to the shortcut menu, it allows you to open the selected URL in Google services, Bing, Yahoo, Yandex, Serpstat, Majestic, Open Site Explorer (Mozscape), Ahrefs, Google PageSpeed, Mobile Friendly Test, Google Cache, Wayback Machine (Web Archive), W3C Validator or all at once (very fun function for your browser). Also the ‘Open robots.txt’ item was added in the shortcut menu which (of course, by coincidence) opens a robots.txt file in the root folder of the selected host. When you click on any cell in the table on the ‘Info’ panel, the same table will be shown with the analyzed parameters, only vertically and specially for this URL. Multi-window → it is now possible to open several Netpeak Spider windows at once and run separate crawlings. Special status codes → there is an addition to such response codes as Disallow / Canonicalized / Refresh Redirected / Noindex / Nofollow. Now they are always displayed, regardless of whether you want to consider indexing rules or whether the corresponding parameter is enabled. You can filter pages by page status on the ‘Overview’ tab in the sidebar. The ‘Custom search and extraction’ function was renamed to ‘Scraping’ → now it works in a similar way to other internal tables. We no longer separate search and extraction (now data is always collected). You can also enable / disable scraping just like any other parameter in the sidebar on the ‘Parameters’ tab. Added saving the positions of all windows and panels → and if something goes wrong, you can always reset their positions using the ‘Window’ menu → ‘Reset all positions’, ‘Reset window positions’ or ‘Reset panel positions’. Migration of saved projects from Netpeak Spider 2.1 version to projects 3.0 is complete. Crawling mode ‘Google SERP’ → don’t be upset, a special tool for solving similar problems will be added to Netpeak Checker. Quick settings → now all settings can be viewed during the scanning, so this functionality has lost sense. Crawling mode ‘Only Directories’ → it turned into a check mark on the ‘General’ tab of crawling settings. To make more clear comparison, we tested programs using a medium site (10,000 URLs) and a large one (100,000 URLs). We wanted to add 1 million URLs to the comparison, but, frankly speaking, not all programs could cope even with 100 thousand. Comparison is divided in two parts – with our previous version and with the main competitors on the global market. As a young padawan, version 3.0 should be better than its predecessor 2.1. That’s the only way it can fulfill its potential. As you can see, when analyzing medium sites, we reduced RAM consumption by 3 times and accelerated crawling by 8 times. It highlights the strengths of the new version – RAM consumption has decreased even more (4 times), and crawling took 30 times less time. I would not like to advertise competitors, but our users always ask how we differ from them – so let's compare Netpeak Spider 3.0 to well-known programs (Screaming Frog SEO Spider, WebSite Auditor) and a young child of our British colleagues (Sitebulb)! The latest Screaming Frog SEO Spider update was supposed to bring itself closer to successful crawling of large websites. And we were just wondering how these new modes work – so we will reveal their secrets too. I should note that we performed crawling with the same settings and using the same websites. The best results are marked by green color and the worst – by red color. Netpeak Spider uses less RAM and becomes RAM-saving leader (the nearest competitor consumes 2 times more), and we go along with Screaming Frog SEO Spider in terms of analysis time (in Memory mode). It is noticeable that green color is tending to the left :) In this case, we have the fastest crawling consuming the least amount of RAM. Let’s focus on interesting fact – for some reason Screaming Frog SEO Spider starts consuming much more RAM after switching from Memory mode to Database mode (nonsense, isn’t it? ), considering that the other technical specifications also suffer (as you can see by red color concentration). Netpeak Spider 3.0 has transformed into a super fast tool, allowing you to work with huge websites and conduct comprehensive SEO analytics without any setbacks. Dashboard (information about crawling process and diagrams after it’s complete). Rebuilt tools ‘Internal PageRank Calculation’, ‘XML Sitemap Validator’, ‘Source Code and HTTP Header Analysis’, and ‘Sitemap Generator’. List of URLs, skipped by crawler. New ‘Parameters’ tab with search and scrolling to parameter in table. Monitoring memory limit for data integrity. Compared with the previous 2.1 version, we improved memory consumption by 4 times and reduced crawling time by 30 times (by the example of a large sites scanning). Comparison with competitors shows that we consume the less amount of RAM and have the fastest crawling speed. On the occasion of the long-awaited release, we decided to give you lots of presents! If you have not tried Netpeak Spider, you have 14-days free trial. 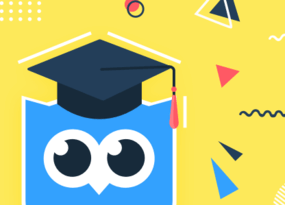 By the way, to add a little sunshine to your day we added one more little surprise while launching a new version! In conclusion, I would like to thank you for not being afraid and have reached the end of this post through thick and thin! We are already working on Netpeak Spider 3.1 version. Also, Netpeak Checker 2.2 is being developed. Thank you ;) We are very glad to hear such words! You created such fiches about which I dreamed. A couple of small wishes. It would be very cool if the context menu appears here (after right mouse click) - http://prntscr.com/j18i4h . Also it would be nice if you added ability to delete entire directories. It is so sad that you do not have a RSS feed for your blog! You have very interesting articles but I am unable to get notified though RSS. Thank you :) We'll work on it and when developers implement RSS feed, I will notice you. Greetings from me and Netpeak Software team! ;) Sorry for a long response. 1. Same settings → crawling directory, number of threads, types of crawled content, indexation instructions, User Agent, IP address. 2. Same hardware → Windows Server 64-bit, i7 2.67 GHz processor, RAM 24 GB, usual hard disk (not SSD). 3. 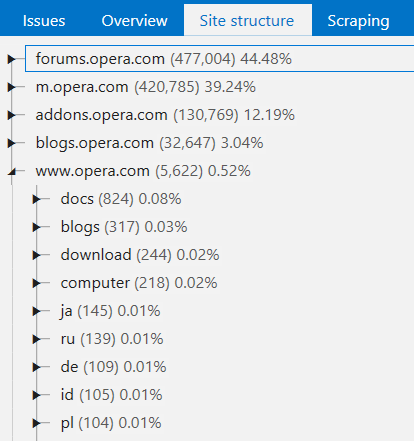 Same domain → we’ve run the experiment using opera.com website. It has quite a lot of webpages and fast server response time that allows to crawl up to 70 URLs per second. 4. Same full access to all tools → we’ve purchased Screaming Frog SEO Spider license, WebSite Auditor (‘Enterprise’) and Sitebulb. 6. We’ve run the experiment several times (quite a few times with some tools because some of them couldn’t take even 100K). We’ve got similar results, I mean they’re quite representative. Aleh, it there anything else I can help you with? Hi, Boris! Unfortunately, the current version of Netpeak Spider doesn't have this capability. But we are going to add this function in a new version of the program (Netpeak Spider 3.1).